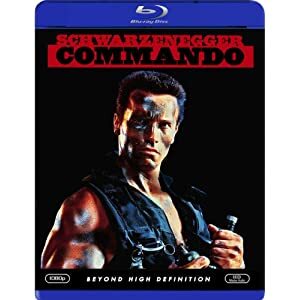 Commando may be one of the most underrated films of its time. It didn't get the attention that it deserved when it came out. That seems to be fixed now, as its rating on Amazon is over 4 stars at the time of this writing. Arnold Schwarzenegger is Col. John Matrix, former leader of a special forces commando unit with a perfect record of getting the toughest missions completed. His daughter has been kidnapped, and he has to get her back. Support acting from Alyssa Milano (the kidnapped daughter) and Rae Dawn Chong round out the film nicely. Naturally there are bullets, explosions and lots of great one-liners from Arnie. If you see only one movie this year where Arnie has to rescue his kidnapped daughter, make it this one! It's 5 stars in my book.